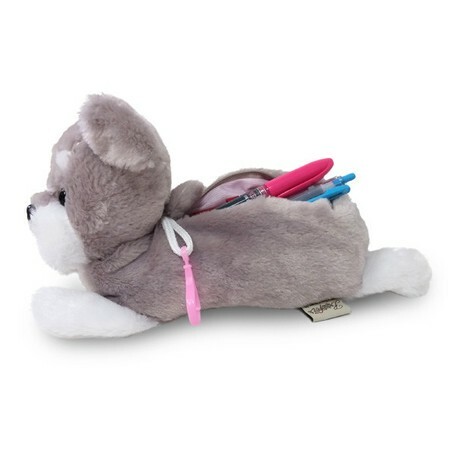 This adorable schnauzer-shaped pouch has a zipper-back opening and can be used to carry your pens and pencils, cosmetics, candies, and much more. 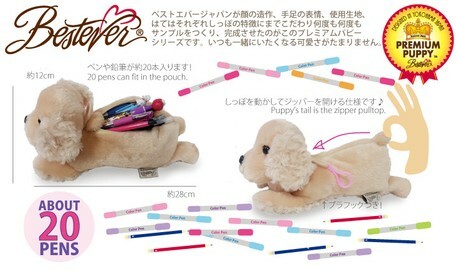 The pup's tail is the zipper pull, so slide the cute tail up and down its back to open and close the pouch! The pouch is big enough to fit up to 20 pens, and comes with a clip hook strap to attach onto your backpack and your school bag. 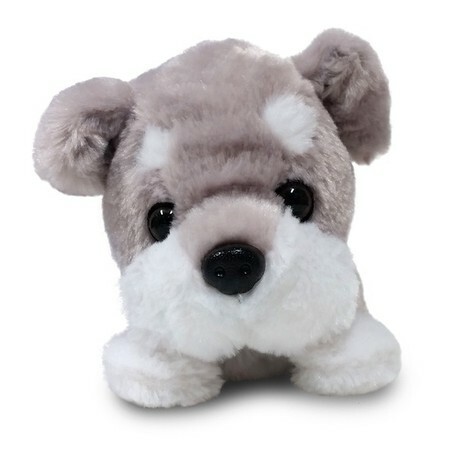 This soft plush pouch will give you an excuse to carry around a super cute stuffed puppy to keep you company wherever you go, even after you have grown up! Our tail zipper pouch collection features many breeds and colors. Find your favorite, or collect them all! New reduced recommended retail price starting September 2017! Now \1380, \520 off our original price!